While all the fantasy talk at St Kilda is about Hannebery, Ross, Billings and Gresham, Steele is a dark horse emerging as their most fantasy relevant player. Put quite simply, he ticks all the boxes we look for when trying to work out the next midfield gem. Just as a quick reminder this will be Steele’s fifth year in the AFL. He moved across to St Kilda after two years at GWS. During that time at GWS he only played 17 games. However, it was his monster NEAFL stats that first got the Fantasy world talking. Largely thanks to an average of 8 tackles a game, Steele averaged 156 in the 2016 NEAFL season. Lucky for us, this high tackle game style of Steele’s has not let up. This is the first box that Steele ticks. 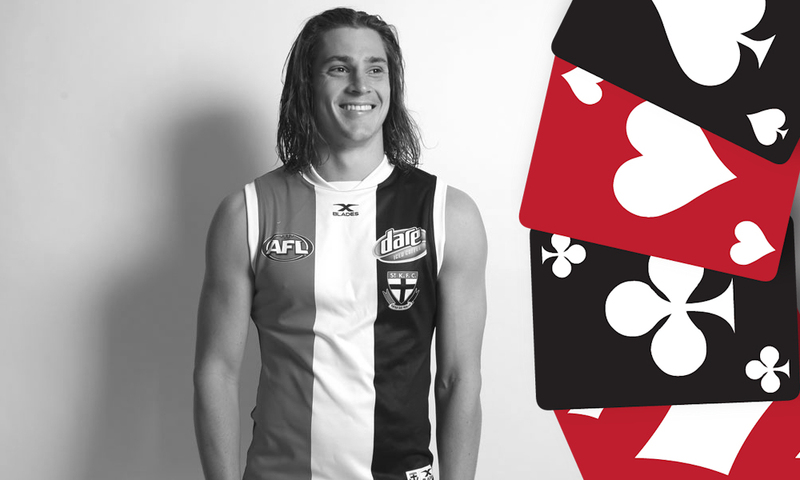 In his first year at St Kilda, Steele did what many expected of him as he went at an average of 93 from his 20 games and only four of his scores were below 90. Signs were positive leading in to the 2018 season that we could see a 100+ Forward option coming our way. Steele only ended up increasing his average by one point, which may have a few readers questioning why he is being highlighted as an premium option. Well the answer is quite simple, Steele’s scores after the bye round can not be ignored and showed a glimpse of what we now can expect coming in to the 2019 season. For the first half of the season, Steele went at an average of only 82. For the second half of the season he went at an average of 108. This included an average of 113 in his last five. Better yet, an average of 130 in his last three. So it’s safe to say he ticks the box we look for when seeing if the player finished off the previous season strongly. So what changed? Put quite simply, he got more responsibility in the back end of the year and started to play a more accountable midfield role. This is something that often means alarm bells for fantasy coaches, but not for a player like Steele who loves a tackle and loves the hard ball. Steele thrived in this role and clearly has become one of the coaches favourites because of it, as seen by his top three finish in the Saints best and fairest. So we’ve got a young player coming in to this prime years, who has shown recent potential. What else could we want? Well let me start with the threat of there never being a tag. The increase in minutes each year at St Kilda (76% in 2017 and 80% in 2018). To put that in perspective a Jack Macrae or Patrick Cripps type will average around 85-90% time on ground. There is even talk of a huge pre-season following him running a personal best in the 3km time trial. The idea of a huge preseason is something we will hear a lot of about different players at this time of year, however, these key words from an article written about St Kilda’s pre-season did highlight the fact that Steele is actually letting his actions speak louder than words. “As the bulk of the group heads upstairs for lunch prepared by The St Kilda Angels, a group of long-serving volunteers, Luke Dunstan and Jack Steele opt for an additional conditioning boxing session in the gym. Steele, who surged to third in the club’s best and fairest last season, is doing everything possible to trim down in a bid to increase his running capacity and develop into an elite midfielder of the competition”. As good as the back end of his year was, there’s no denying there were some worrying scores during the 2018 season. Any player that is capable of scoring 57 in a full game of footy has the right to make any coaches never again list. In fact, when looking properly at his previous year, it’s hard not to notice the fact that Steele only scored seven centuries and above through out the whole season. In his career, Steele has only gone over 120 five times. Three of which were in his final three games of 2018. So to say he is a consistent high scorer would be a lie. It took him until Round 23 of last year to show us that he in fact does have a high ceiling. With a score of 145 against North beating his previous best by 21 points. Anyone else starting to get worried that too much weight is being put on his performance once St Kildas season was done and dusted? There is a bit of an unknown as to how Hannebery will actually fit in to St Kilda’s midfield structure. That fact combined with the talk of Gresham and Billings stealing some midfield minutes, there’s a chance we don’t see an increase on that 80% playing time for Steele this year. Finally and not to be forgotten, you can’t go past the fact that there will be times in a game where his first and foremost preference will be to slow down one of the oppositions best midfielders. This can often lead to large patches of low scoring in games. As a constant refresher of stats, I can only see this frustrating me more and more as the year goes on. QUEEN – It seems this pre-season that Hannebery, Ross, Billings and Steven have been getting all the buzz as the premium options at St Kilda. Steele has earned his right to be part of that conversation. The real question is, does Steele earn the right to be considered a premium option amongst many other players in the competition. All signs point to yes, so you may want to get in while he is cheap. If you want to “wait and see” then make sure you don’t have that approach on draft day and at the very least rate him as a 95-100 point midfield option because that’s the minimum we should expect. If the back end of the 2018 year is anything to go by though, then we have an absolute bargain for a potential top 10 midfielder. Got to risk it for the biscuit. Which St Kilda midfielder would you take first in your draft? FOLLOW US ON TWITTER: @TheMilkmenDT for all thing AFL Fantasy (and more). Got something to say about the deck? Use the hashtag… #DeckofDT. FYI – Authors choose whichever player they want and give their own ratings based on whatever they want. IMO, there’s a blanket over Taranto and Steele for me. Good article milkmen, hes definitely higher on my draft watchlist now, cheers! I think at another club he could be a star, Until that happens Pass for me. I think Jack is a Steele.